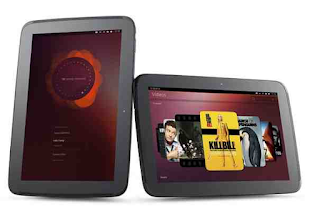 Ubuntu for tablets announced: Coming to a Nexus near you! It turns out that HTC's launch of the 'One' wasn't the only thing which happened at 3pm today! Some sites predicted that HTC and Ubuntu would be teaming up to offer a tablet, but it just seems like Ubuntu timed it just to grab a few headlines and obviously it worked in some places! In fact Canonical showed off their upcoming Ubuntu for tablets! The video below contains a lot of information so that's a great place to start! So the new tablet OS will pop up with the smartphone preview on February 21st! Naturally, it'll arrive on your Nexus 7 or Nexus 10, if you really can't wait for the final build, at the same time it lands on your Nexus 4 or Galaxy Nexus! For all of the details on how Ubuntu for tablets will work with exactly the same code as Ubuntu for Smartphones, Ubuntu for TV and Ubuntu for Computers check out the official website here!